They said it couldn’t be done. They said $15 dollars an hour was a leap to far. But the working class of America and beyond are proving them wrong. But workers in the fast food industry have been striking across America for over 2 years With one simple demand. $15 and a union. On the 6th of june 2015 around 1500 low paid fast food workers travelled to Detroit Michigan to celebrate the success they have had in Increasing wages and building a hard hitting campaign for $15 dollars and a union. I had the privilege of attending this conference as representative of the BFAWU (Bakers union), Along with delegates from unions from every continent on earth. The International delegation arrived at the Cobo centre Detroit at around 9am the huge hall packed with some of the poorest most oppressed people in America. Many of whom had travelled 8,10,12 Hours on packed coaches from across The US. The walls were covered in bright and bold Banners from every corner of the United States. Not only was I instantly hit by the visual impact of the campaign but the atmosphere was incredible. It felt more like the kick off to a football match than kick off to a union convention. “I Believe that we will win, I believe that we will win, I believe that we will win”. “We work we sweat put $15 on our check”. The convention kicked off with stories of the successes of the campaign in winning $15 dollar minimum wages in LA, Seattle, San Francisco and Washington. Announcing that the Mayor of New York had been pressured in holding a wage board to determine if wages where too low. Everyone seemed confident that this would lead to an increase in wages in New York and wider a field. We heard stories of workers conditions and how they first engaged with the campaign. I spoke to a worker from Kansas who told me she engaged with the campaign when a union organiser approached her near to her restaurant. And she started organising for the campaign after that. She had been on strike twice with her workmates. She told me about the fear she felt on her first strike, the fear of losing her job, and losing her home. But this fear was nothing compared to the fear she felt for her daughter if she couldn’t raise the money to send her to college in the future. She said “I was worried for my job but when I saw my fellow workers outside, I started to feel we had power. Coming here today I know we have power”. What was notable was the presence of the big justice movements in the US like Black live matter and the campaign against deportations of migrant workers. With most delegates in being black and from a central American background it was hardly surprising that It was discussed how to support these campaigns and how these campaigns could feed back into the fight for 15. Fast food workers and trade union leaders from around the world were presented on stage to show US fast food workers that the campaign for dignity at work is a global campaign. Trade union leaders from Brazil and France spoke about the work they are doing and Mike Treen national director of Unite union in New Zealand spoke about how they had abolished zero hour contracts and accomplished recognition in restaurants across New Zealand. The international delegation was greeted with great excitement in an emotional moment of international solidarity that no one who witnessed it will ever forget. After the whole conference ate together the afternoon was spent discussing some of the lessons with a Q and A session with the worker lead organising committee, whilst breaking down into to smaller groups to discus and reflect best practise across the campaign. It was wonderful to see workers grappling with the destiny of the campaign as big questions where asked of the workers like. How do we engage as a campaign with wider social movements? With the looming election how do we influence our local politicians? Each set of workers reported back to the conference on what they had discussed. As delegates drifted off to catch flights and coaches back to every corner of the US it was clear that this campaign had real solid roots that would continue to play a huge role in influencing main stream politics in the United states. Its clear that the strike is back as a tool that can galvanise the support of communities and oppressed groups not only in applying pressure to political and business leaders but in the liberation of the individuals and the communities involved in the action. Met the next day to discuss the global prospects of delivering victories for workers across the world. Union leader’s spoke of McDonald’s as the leading company forcing down wages in industries across the world. Where ever McDonald’s goes it forces down wages to the lowest possible rate it can get away with. Its drive to maximise profit puts pressure on wages in the farming industry as McDonald’s are the largest purchaser of beef, lettuce, tomatoes napkins ect ect we should see workers in these industries globally as allies also. It was also made clear we should highlight the billions of pounds McDonald’s avoids in taxes by pretending its headquarters are in Switzerland and should act to make this known. An agreement was reached to work closer together, think big, and attempt to improve conditions for workers in fast food internationally and co-ordinated. Engaging more workers in more industries. 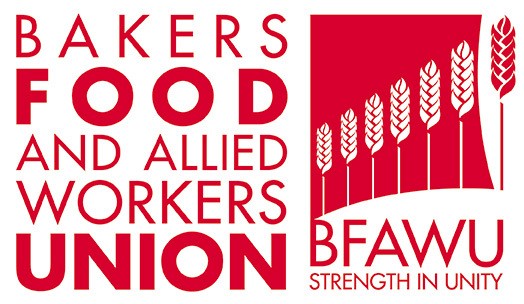 Here in the UK the BFAWU which is organising food workers in the UK has Launched The Hungry for justice campaign. Our aim is to organise fast food workers with the support of communities and fellow trade unions. We are demanding a £10 an hour minimum wage, an end to 0 hour contracts and union rights at work to get involved email.